How different is it from the concept? Not much. We’ve known for some time that the BMW X2 was on its way, and these leaked patent images, courtesy of The Motor Report, clearly show us what the production version will look like. The X2 Concept, revealed in Paris last September, looked about 90 percent production ready, and even then we knew BMW had given it the green light. Like the concept, these patent images show the production X2 will retain that low-profile roof and more aggressive front end, thus giving it more of a ‘Sport’ over ‘Utility’ look. Compared to the concept, the patent images reveal larger headlights and taillights, door handles and, of course, exterior side mirrors. Those large front air intakes have also been slightly toned down, as has the rear end styling. Perhaps it’s best to think of the upcoming X2 as a sportier, coupe-like alternative to the X1, its platform mate. 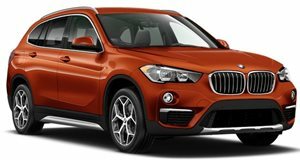 Mechanically speaking, the X1 and X2 are very similar, sharing gasoline and diesel engines and an eight-speed automatic transmission. These renderings, however, show the X2 in its base trim and BMW will also launch an M Sport version with enhanced styling. An X2 M also hasn’t been entirely ruled out. 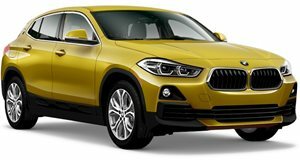 In any case, we’ll see the first-ever BMW X2 this September at its Frankfurt Motor Show debut.